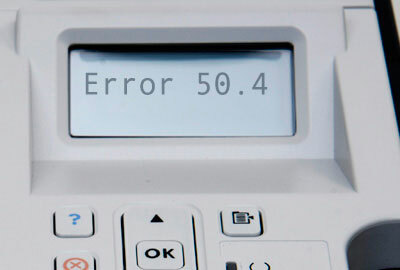 One of the most common and troublesome errors you may encounter with your HP printer is the error 50.4, which affects laser printers specifically. The error indicates that you have a fuser issue, but the confusing part of this error is that there could be three different causes of your fuser working improperly, and it may not be an actual failure of the fuser itself. Here are the three most likely causes of the 50.4 error, and some troubleshooting steps to help you resolve them. The first possible cause is that your fuser has experienced an increase in temperature caused by overuse. This is the most common reason for the 50.4 error. The benefit of this error is that it is actually triggering a safety feature in the control panel, keeping your printer from printing when it would be unsafe to do so, avoiding damage to the printer, or even a possible fire. Since this is often a case of overuse that led to overheating, you should simply wait for awhile for the printer to cool down before trying again. You may even want to power down the unit, allowing it to complete its cooling cycle, then unplug it for awhile. Once your machine has cooled down to room temperature, you can try printing again. Choose transparency paper designed specifically for laser printers to avoid damage to your machine. The second cause is a paper jam in the area of the fuser, or a piece of unsupported media that has gotten wrapped around the fuser itself. Generally this will happen when printing with transparencies on laser machines that don’t support this media type. With the media jammed or wrapped around the fuser, it can hold in heat, causing the temperature to rise. 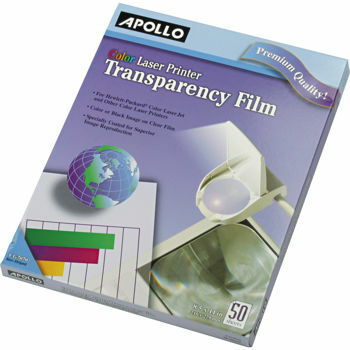 See Printing on Transparency Film for tips on selecting the proper media and avoiding this problem in the future. You will need to power down the printer and unplug it. Next, remove the fuser, and check it for damage. If you can easily remove the paper jam or unsupported media, do so. If the media has melted to the fuser, you have damaged your fuser, and it must be replaced. If you don’t feel comfortable performing this repair yourself, contact technical support rather than running the risk of damaging the machine. The third possible cause is that the power circuit is sending an insufficient line voltage to the fuser. This can generally happen because your DC Controller has lost connectivity to the printer. Power down the printer, and unplug it for about 20 minutes. Your DC Controller should reset. Plug it back in and power it up, then try printing again. If the error persists, you may have a hardware issue that needs to be repaired. Contact technical support for more assistance. Two of the three possible causes above are generally easy to fix, and you may be able to get back to printing quickly. If you have tried the tips above and you are still receiving the 50.4 error, however, you should contact a repair shop or HP support for professional assistance.